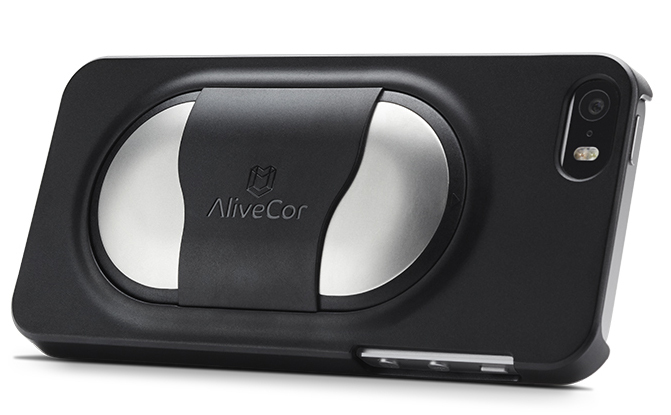 The Veterinary iPhone® ECG and Heart Monitor is designed to snap onto your iPhone® 4 / 4S / 5 / 5S / 6 / 6S / SE / 7 like a case and wirelessly communicates with the AliveECG Vet app. 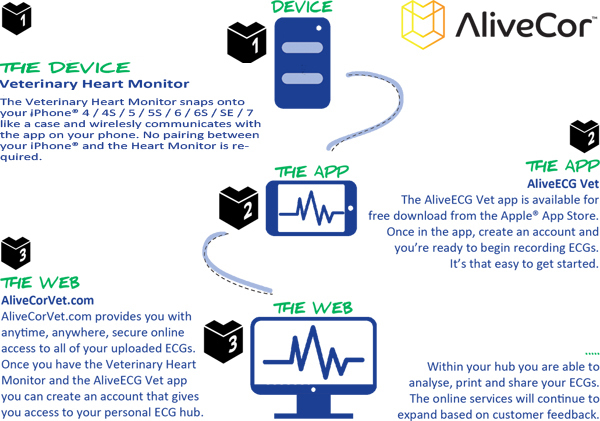 The AliveECG Vet app is free to download from the Apple App Store by clicking here. Once partnered with the ECG monitor, it transforms your iPhone to a clinical-quality, single-lead ECG recorder that leverages the power, display and communication capabilities of the iPhone® 4 / 4S / 5 / 5S / 6 / 6S / SE / 7. The Veterinary iPhone ECG and Heart Monitor has been tried and tested on a wide range of species including cat, dog, horse, monkey, rhinoceros, koala bear, seal and many more, all with highly effective results.